This notice provides information on the way in which the personal information you provide is managed and processed by Benicasim Ltd trading as Oakgrove Leisure Centre. Typically the data consists of name, address, date of birth, telephone numbers, email address’s, next of kin, gender, guardian, a picture taken for identification purposes on beginning a membership, healthy screening information, ability levels in swimming exercise classes, data related to your state of fitness such as height – weight – body mass index or blood pressure, biometric data (cctv footage), merchant copies of credit and debit receipts. Standing order and direct debit customers may also have records of bank address, IBAN and BIC numbers stored by us. The information you have provided to Oakgrove Leisure Centre will be used to administer your membership, exercise or swimming. The information you have provided may also be shared with Legend Club Management Systems (UK) Ltd, Marlborough House, York Business Park, York. YO26 6RW, who provide administrative services to Oakgrove Leisure Centre and any future provider of administration services. Your data will not be held or stored outside of the European Union and it will not be sold. 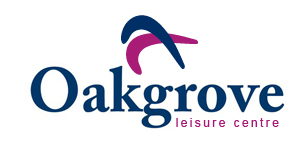 Contractual use of your personal information which will have been provided when you made your membership application, will form part of your contract with Oakgrove Leisure Centre as part of your membership. The consequences of not completing the membership application forms and agreeing to this use of your personal information is that Oakgrove Leisure Centre will be unable to process your membership. The information you have provided will also be shared with Legend Club Management Systems for the purpose of managing your membership, exercise or swimming classes. Oakgrove Leisure Centre may share the information you have provided to other agencies or organisations such as the Garda Siochana, Revenue Commissioner’s or the Department of Welfare where a request has been made and it is lawful to share the information. Oakgrove Leisure Centre and its administrative services partners will keep your unpublished personal data will be kept secure by the Company and will be kept within the European Economic Union (EEU). Co. Laois, R32 AP23, Ireland.